Adding to our CES 2014 coverage, we had the pleasure of seeing TRENDnet’s new products announced during CES. Here is a quick breakdown of the new products releasing over the next couple months for TRENDnet. TRENDnet, a best-in-class wired and wireless networking hardware brand, today announces from the 2014 International CES in Las Vegas, Nevada, the extreme performance AC1900 Dual Band Wireless Router, model TEW-818DRU – which offers unmatched performance, powered by a 1 GHz processor, high power radio amplifiers for extended wireless coverage, and Gigabit Wireless AC networking speeds. The TEW-818DRU is designed to provide the optimum wireless experience in a busy connected home. 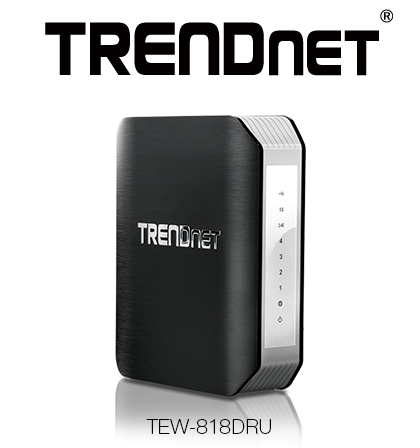 TRENDnet’s TEW-818DRU creates two extreme performance wireless networks — an ultimate performance 1.3 Gigabits per second (Gbps) Wireless AC network, to connect all Wireless AC devices over the fastest wireless speeds available today; and an extreme performance 600 Megabits per second (Mbps) Wireless N band, to connect everyday wireless devices such as tablets, smart phones, and computers. 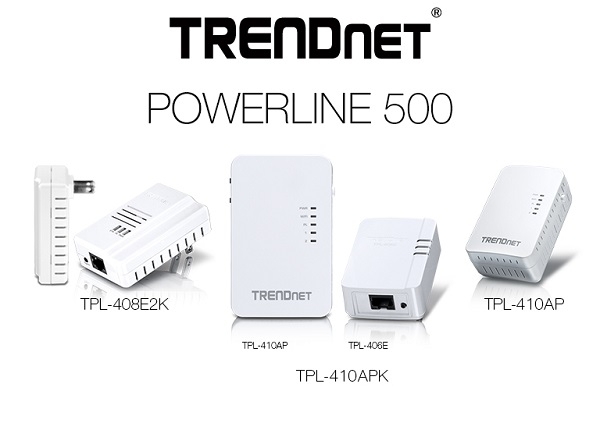 TRENDnet, a best-in-class wired and wireless networking hardware brand, today announces from the 2014 International CES in Las Vegas, Nevada, the expansion of its Powerline 500 product portfolio with the addition of the Powerline 500 AV2 Adapter Kit (model TPL-408E2K), Powerline 500 AV2 Wireless Access Point (model TPL-410AP), and Powerline 500 Wireless Kit (TPL-410APK). 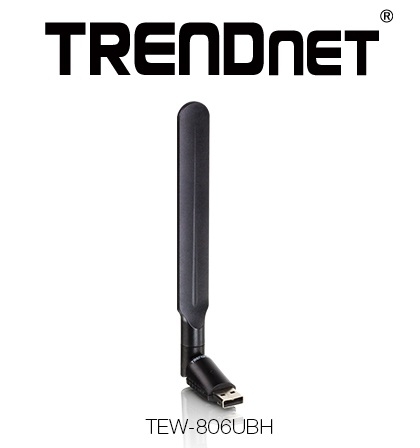 TRENDnet, a best-in-class wired and wireless networking hardware brand, today announces from the 2014 International CES in Las Vegas, Nevada, the AC600 High Gain Wireless USB Adapter, model TEW-806UBH – which offers significantly extended coverage and increased connection speeds at range. TRENDnet’s TEW-806UBH connects a Windows® or Mac® computer to a Wireless AC network at 433 Megabits per second (Mbps) speeds or to a Wireless N network at 150 Megabits per second (Mbps) speeds. The adapter’s high gain antenna significantly increases wireless coverage of a connected computer as compared to other Wireless AC adapters. The adjustable antenna rotates and tilts to further improve wireless connectivity. Additionally, the TEW-806UBH maintains much higher connection speeds when located far from the connected wireless router or access point. 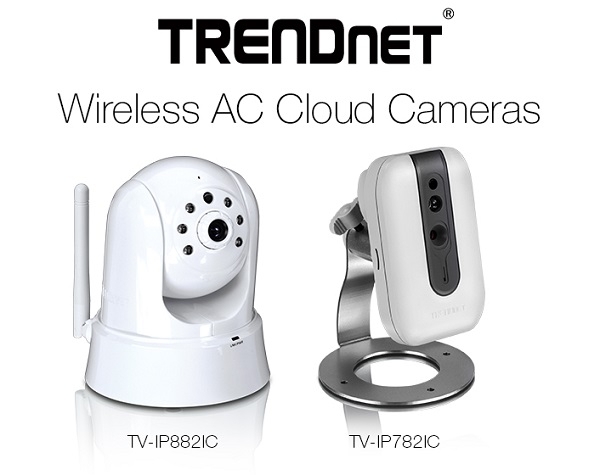 TRENDnet, a best-in-class wired and wireless networking hardware brand, today announces from the 2014 International CES in Las Vegas, Nevada, new HD cloud cameras with build-in high speed Wireless AC networking. Equipped with Wireless AC networking, this line of cloud cameras, is not compatible with Wireless N networks. The listed cameras require the presence of a Wireless AC network, generated for example by TRENDnet’s TEW-812DRU Wireless AC router, in order to function. 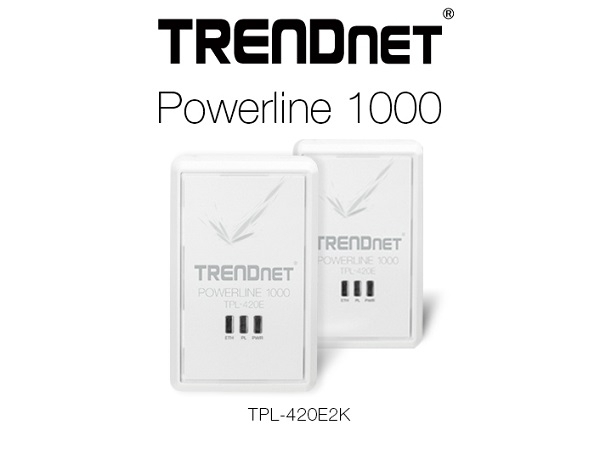 TRENDnet, a best-in-class wired and wireless networking hardware brand, today from the 2014 International CES in Las Vegas, Nevada, is excited to announce a new Powerline 1000 or Gigabit class of Powerline solutions, with the launch of the Powerline 1000 Adapter Kit, model TPL-420E2K. 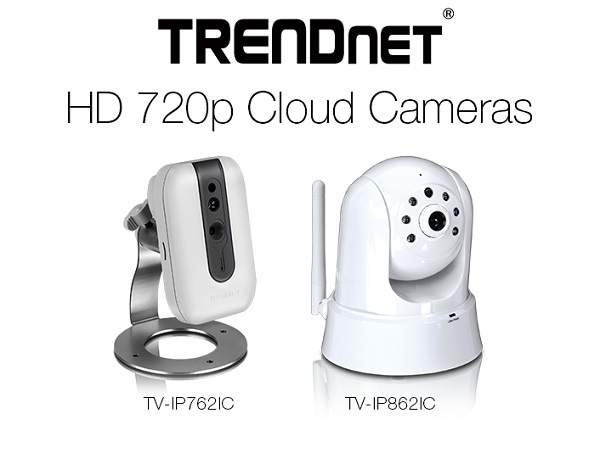 TRENDnet, a best-in-class wired and wireless networking hardware brand, today announces from the 2014 International CES in Las Vegas, Nevada, the expansion of its cloud camera product portfolio, with the addition of the HD Wireless Day / Night Cloud Camera (model TV-IP762IC) and HD Wireless Day / Night PTZ Cloud Camera (model TV-IP862IC). 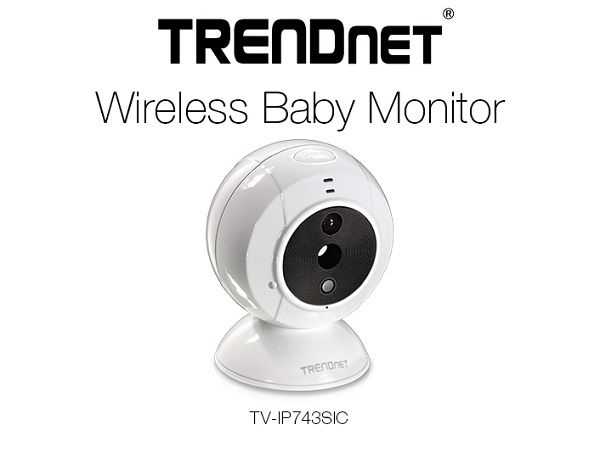 TRENDnet, a best-in-class wired and wireless networking hardware brand, today announces from the 2014 International CES in Las Vegas, Nevada, the Wireless Baby Monitor, model TV-IP743SIC – which makes it easier than ever to monitor your baby from home or from around the world. After a brief installation using TRENDnet’s free Apple® or Android™ mobile app, simply open a web browser or the free app to view live video on your mobile, tablet, or computer. Users can view video from home or from any internet connection with the help of TRENDnet’s free cloud service. The compact camera has a convenient adjustable base and comes with an articulated wall mounting bracket for wall installations. Night vision is a tremendous advantage. The TV-IP742SIC’s infrared night vision provides visibility in complete darkness for distances of up to 5 meters (16 ft.). Users can also program the camera to email video clips of detected motion or sound activities and it has as built in speaker and microphone for two way audio communications.